There were plenty of votes again this year, as about a thousand of my readers weighed in with their thoughts on the best and worst figures of the year. It always takes a little while to tally the votes, but now finally I have them counted and ready for your enjoyment! This year we're seeing a huge difference over past years. Companies like Mcfarlane and Palisades aren't even in the top 4 - Mctoys wasn't even in the top 7! There's only one company returning to the top spots from last year, and the percentages are much more evenly spread this time around. Third place goes to NECA with 13% of the vote. This surprised me because I have very vocal section of my readers that always find things wrong with anything NECA does. These numbers indicate to me that there's a far larger non-vocal group that's very happy with what they've seen. Second place goes to last year's second place company, and a company that's been top three just about every year - Toybiz. They picked up 14% of the vote, barely being edged out by the top dog. Most distrubing to me though is that with the recent announcements of Hasbro taking over the manufacture, distribution, and most likely all aspects of the Marvel mass market toys, that folks aren't more disappointed with the end of a company they loved. Perhaps they still hold out hope that some version of Toybiz will remain, and while some of the handful of employees most likely will, with a giant gorilla like Hasbro involved, things most certainly will not remain the same. And the big grand prize winner this year - Mezco! People were obviously very happy with the exceptional offerings they put out in the second half of the year. Mezco took in 16% of the overall vote. The top six were rounded out with honorable mentions to Sideshow (12%), Palisades (11%) and SOTA (8%). With all the great choices for best line of the year, it should be no surprise that the voting was extremely well distributed. Fifty five different lines got at least one vote! Third place received 7% of the vote - and was one of my picks as well! It's the Nightmare Before Christmas line from NECA, which was a top pick for me. It should be no surprise to see the comic based Hellboy line in the top three. With 13% of the votes, they took second place. I'm betting we'll see Mezco high in these rankings once again next year. The winner shouldn't be a big surprise - with a commanding 19% of the vote, Marvel Legends took the spot. Again, I'm amazed that people aren't more disappointed that Hasbro has stepped in, since the odds are good that lines like Marvel Legends won't fair well through the translation. I do think it's interesting that there wasn't a line this year (unlike past years) that took a commanding lead. Things were much even this time around, probably due to the sheer number of very well done lines being offered. I actually admit that I may have screwed up in this category this year. Somehow I managed to forget the Quee line, and there were enough write in votes to get them noticed, rare for write in votes. Of the rest of the mini's I had on the ballot, the winners were clear. The top two matched up with last year, but our third place winner is new to the pack. Palz took third with about 19% of the vote. Now, I picked on them in my awards because of the blind boxing, but readers weren't so harsh. Mez-itz took second once again this year, with 20% of the vote. They trailed the first place winners, Marvel Mini-mates, once again this year. The mini-mates managed to take 23% of the votes. This was a blow out this year. There was no doubt who the big winner was, but third place surprised me a bit. With 10% of the vote, the Premium Format Luke squeaked in. He was not my favorite PF of the year, so that took me off guard. However, he was one that I'm betting more people saw, giving him the leg up on perhaps the Phantom of the Opera. Second place was snagged by Gandalf from NECA. If you've seen him, you wouldn't be surprised that 12% of the voters selected him. Finally, the readers and I matched up again - 36% picked the comic based Hellboy. There's no doubt in my mind that he truly deserved it as well. This year, the top two figures in this category were close, but it was a long way back to third place and beyond. Third place was won by the Cigarette Smoking Man from Sideshow. 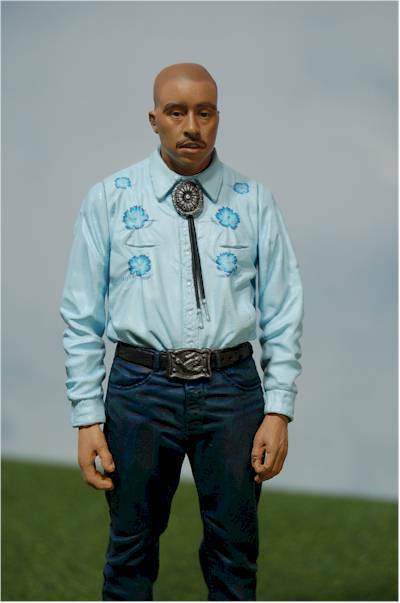 He remains one of the best sculpts I've ever seen out of Sideshow, and 7% of the voters were happy with him as well. Second place scored a big 20% of the vote - the Medicom Darth Vader. For all the complaints of scale and cost, he still ranked awfully well. 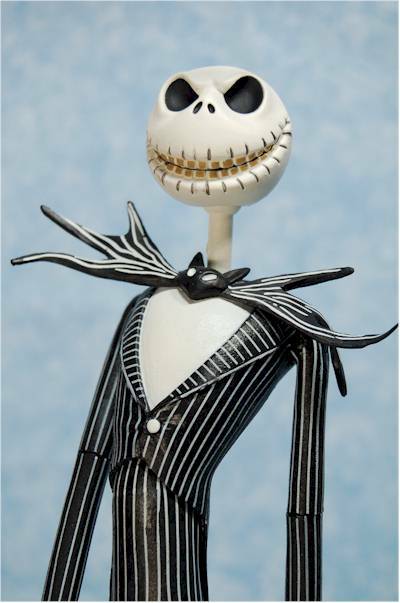 The big winner, with a whopping 22% of the overall vote, was NECA's Jack Skellington. It looks like the NMBC line is a huge winner for NECA across the board. This is always a category with a spread vote, since there are dozens and dozens of possible answers, and everyone has their personal favorites. Thirty seven different figures got at least one vote, not counting write ins! Still, some folks managed to agree. The third place winner, with 8% of the vote, is Super Grover. A lot of folks have been sorely disappointed that the Sesame Street line seems locked in limbo, and this love for Super Grover is no surprise. 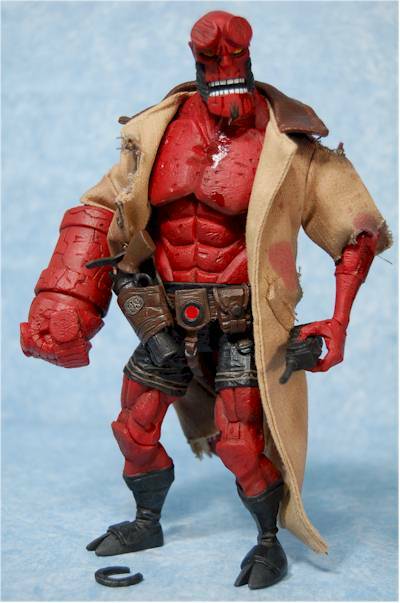 Second place goes to the comic Hellboy, who snagged 12% of the votes. Obviously, Hellboy was the LOTR of our Academy Awards this year. Interestingly enough, the movie Hellboy from Mezco took this same place in this same category last year! 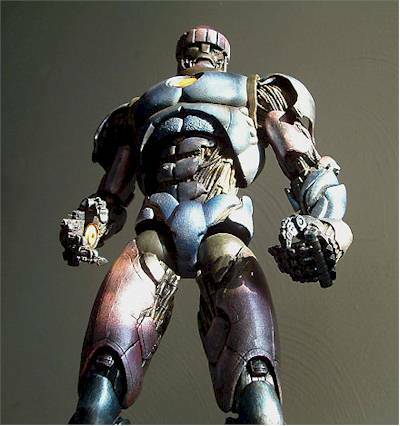 The first place winner might be a surprise to some, but not to those that bought all of the Marvel Legends series 10 - the Sentinel! This guy was simply too cool, and snagged 13% of the votes. There aren't many companies doing 12" female figures these days. It's no surprise then that in past years, Sideshow dominated this category. This year however, all three top prizes went to different companies! Sideshow only took a third with their Vampire Buffy. She picked up 17% of the vote, and Sideshow does get an honorable mention for Autopsy Scully, who managed to pull fourth with 15% of the votes. A figure I'm not sure really belongs in 2005 got the second place award with 19%. It's the Kerberos Panzer Cop from bbi, Midori Washio. She was smoking hot, but might have actually hit in 2004...hey, I didn't review her to 2005 though! The top winner was the clear favorite though, with a commanding 28% of the votes. 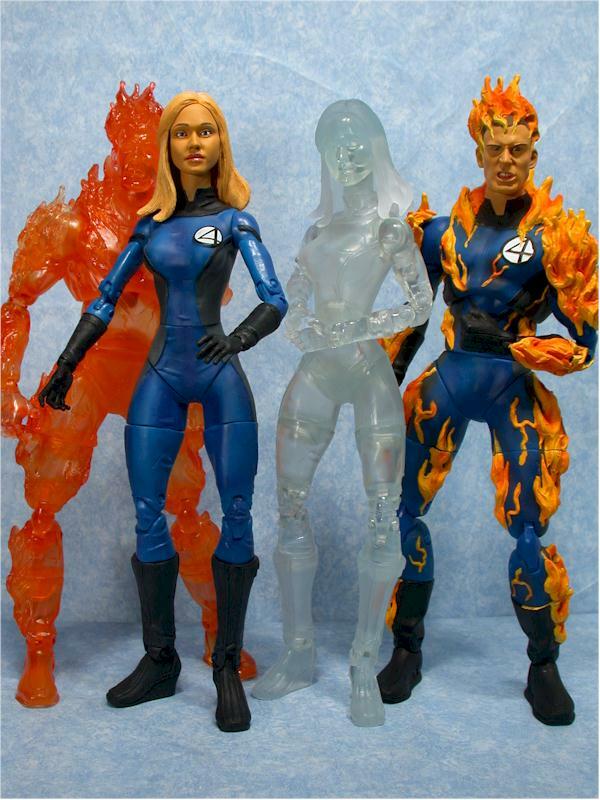 Sue Storm, the Invisible Woman, made it out in not one but two 12" rotocast versions. One was painted and one was clear, but they were both huge hits. There aren't nearly as many great female figures every year, so finding the best is usually much easier. I'm happy to say, at least in terms of the top spot, my readers and I were right on target. Third place goes to Sue Storm, this time in the smaller form. 10% of the voters said she was their favorite. 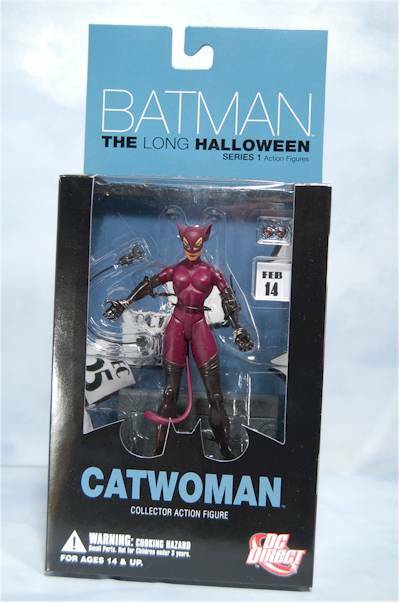 Toybiz could have packed her a bit better, but most collector's were fairly happy with the final version. The Buffy fans spoke up with the second place award going to the Deluxe Buffy from Diamond. She picked up 11% of the overall vote. 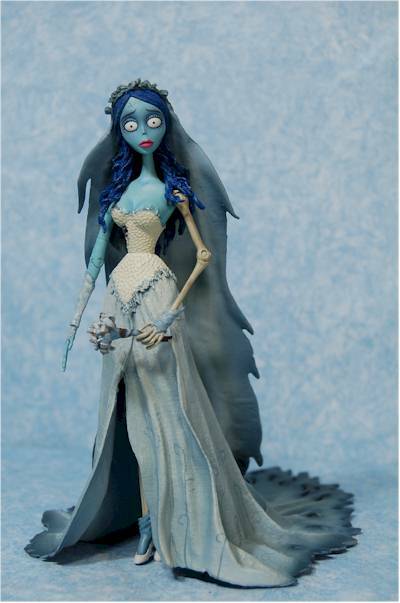 Finally, the top spot goes to my favorite for the year, the Corpse Bride. Mcfarlane outdid themselves with this one, and a whopping 26% of the voters agreed. Most categories are close, some decided by only a handful. This was NOT one of those categories. The winner was a landslide, and actually received more votes in this category than any other company or figure in any one best category, even than the 18" Hellboy! But let's start with third place - Sideshow. They picked up 10% of the vote, and beat out every other sixth scale company, even though many still complain about the design of their bodies. Second place went to my top pick, SOTA. Their Street Fighter line has set a new expectation for combining articulation and sculpt. Finally, the big winner, with a ginormous 37% of the total vote, was Toybiz. 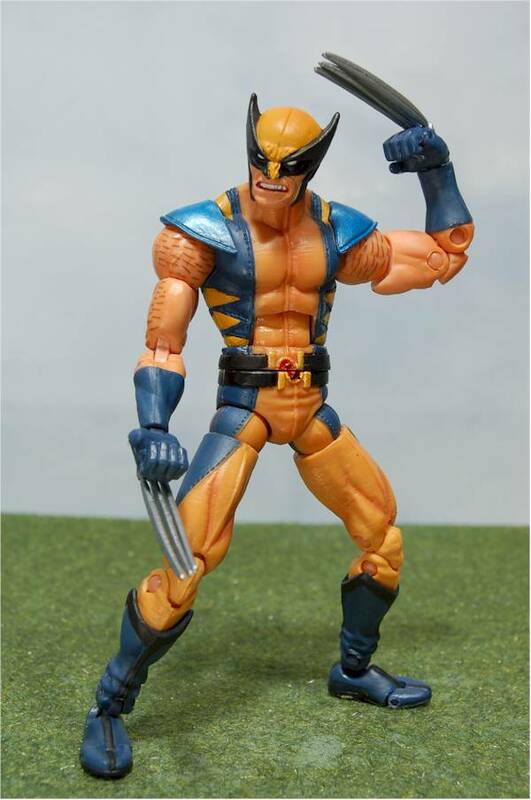 Again, I'm shocked that so many people seem to appreciate the articulation and quality of the Marvel Legends line, but have so little concern over the effect Hasbro will have. Yes, because Hasbro has done so well with articulation in the past. There's always been one champion in this category - and this year is no different. There is a couple companies sneaking up on them, but they've got a way to go. Mezco took third this year, grabbing 11% of the vote. They also edged out Palisades, who were number one last year. This year they grabbed only about 10% of the voting. Second place went to last year's third place winner, NECA. They grabbed 13% again this year, catching up on that number one spot! And who was number one? Is it any real surprise that without Palisades to threaten them, Mcfarlane took the top honors? They grabbed 23% of the vote, and the number one position. I picked them number one as well. My favorite this year, Hasbro, didn't make it in the top five of the readers picks. They went with a little more traditional choices. They put Palisades in third, barely squeaking past Mezco. Palisades got 11% of the total vote. The readers also showed some love for Mcfarlane and their pretty inserts, giving them 14%. Who knows, if they included some basic character specific text on the inserts, they might take first! Ah, but maybe not, because first place Sideshow is going to be tough to unseat. They grabbed 17% of the votes again this year. Interestingly enough, these were the three same top vote getters as last year, but in a completely different order! No vehicles took top honors this year from the readers. They selected only play sets as their favorites. 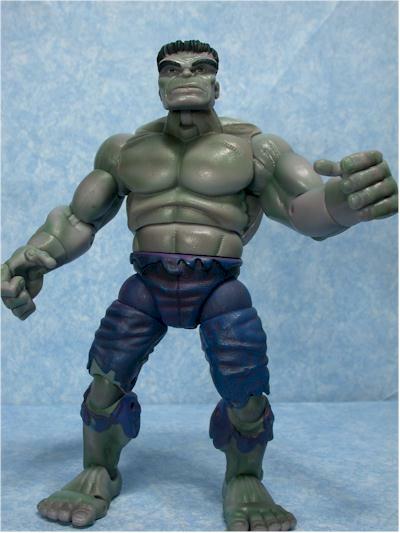 In third place was another of the Marvel Legends items, the Fearsome Foes of Spider-man. This boxed set of figures took 15% of the vote. It will be interesting to see what lines Marvel answers with next year. Second place goes to another Mezco line, Family Guy. The Peter vs the Giant Chicken diorama/set got 19% of the votes. 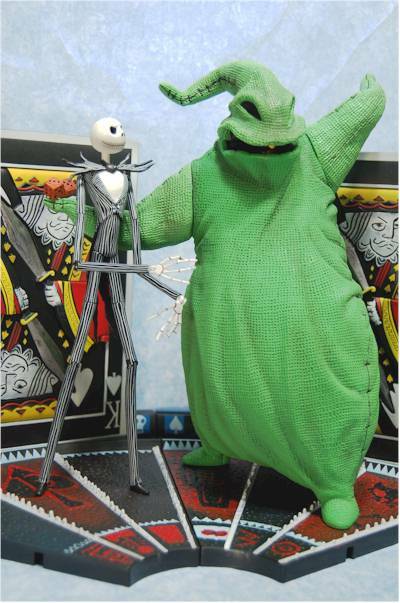 The first place winner was another one for NECA and their NMBC line - the Oogie Boogie vs Jack diorama! It took 22% of the votes. There's some surprises here this year, especially the big winner. I was shocked to see the Cubes come in third place, with 11% of the vote. They edged out Superhero Showdown to take a place in the top three. Second place was a surprise as well, not because I didn't expect the concept of Build a Figure not to do well, but because I thought it would take first place hands down. Even with 26% of the vote, it didn't quite make it to the top. 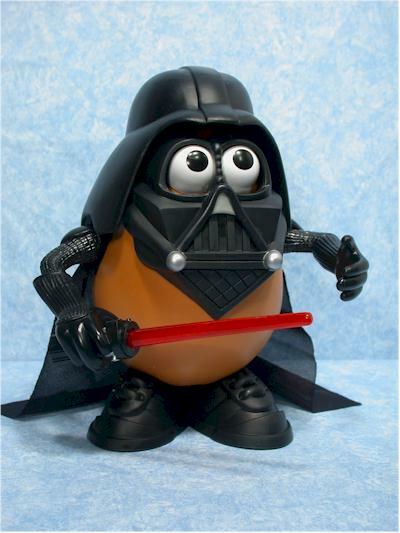 No, that went to the dark horse winner, Darth Tater. Somehow the little goofy guy managed to snag 27% of the votes, taking the top spot as best idea of the year! To be fair, it wasn't just Darth, but the Spud Trooper, who was listed together, since the concept was the combination of Star Wars and Mr. Potato Head. Ah yes, the worsts. If you think the world is made up of puppy dogs and sunshine, then I'd suggest ending right about here. But if you believe in constructive criticism, then let's move right along! Remember when I said I didn't understand how people could be so unconcerned, and some downright pleased, that Hasbro is taking over for Toybiz? This category again reinforces my confusion. Third place as worst company for 2005 goes to Hasbro, with 11% of the vote. They beat out SEG for God's sake amongst my readers, and yet when they replace the company that you've selected as one of the best of 2005, nobody breaks a sweat over it. My head hurts. Second place goes to Jazzwares, and I can bet that's mostly due to the rough start they had with the Mortal Kombat line. I don't expect we'll see them stay in this category next year. The top vote getter was no surprise to me, but I wasn't so tough on them this year. 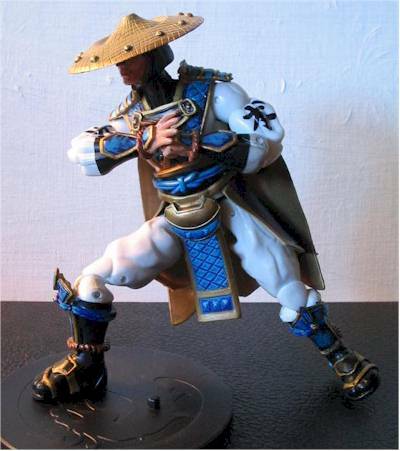 JAKKS took 14% to get the dishonor. Since I didn't review any JAKKS product this year, let's go with a photo of the second place winners. This was one of the most spread out lines of the year, certainly more so than the best line of the year category. Just about everything got at least a vote. But Willy Wonka managed to just barely eek out Mortal Kombat to take third place, with 9% of the votes. Right ahead in second was King Kong (also with 9% when you round it up), and taking the first place spot, barely edging in past the competition, was Alias from SEG, with 10%. Last year folks were much more united in their hatred of a single line, but this year the hate was spread around pretty good, with 54 different lines getting votes. This is a tough category, since most of the remaining mini-figures are pretty good. But some just seem to attract the wrong kind of attention. Stikfas managed to make it into the third place spot, with 12% of the overall. I'm not too surprised, since while they had their fans, they never seemed to really catch on. I'm not surprised by second place either, the Smitis. Another set of mini-figures that never managed to pull away from the pack. They picked up 15% of the vote. And the top vote getter won't surprise most folks - it's the Shockinis, with a solid 25% of the vote. I suspect that the voting isn't just about the figures though, and has something to do with the negative image the company has gotten around the net. I had a really tough time with this category, because just about every 18" figure was at least good, if not outstanding. It seems the readers didn't have nearly as much trouble. Third place went to Luke Skywalker from Sideshow. He picked up 10% of the votes, and I'm not too shocked. I thought he was one of the weaker Premium Format figures last year. Second place went to Patrick Bateman, who also scored high in my own list for this category. He picked up 19% of the vote to snag this award. 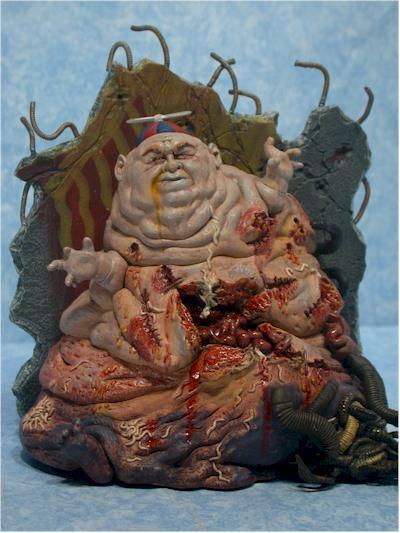 But a whopping 36% of the readers agreed that Willy Wonka, also from NECA, was the worst 18" figure of the year. Perhaps it's just left over hate from the movie, or maybe they were still disappointed by the small figures. 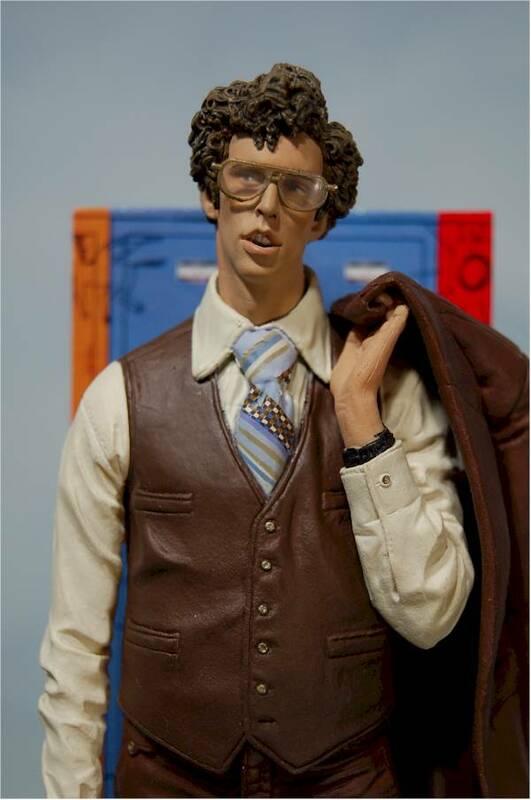 Or maybe, just maybe, NECA dropped the ball on this one. 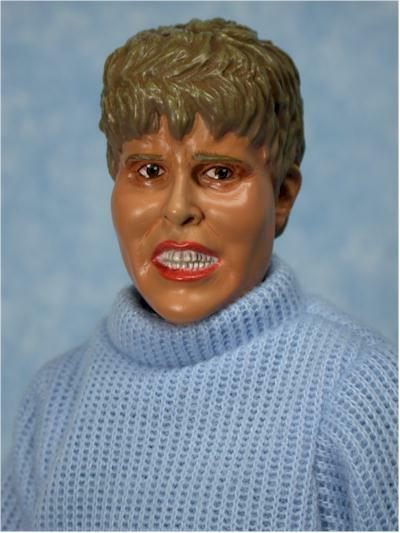 Once again, my readers and I agreed on the worst 12" male figure - but not the second and third place winners. They selected General Grievous as their third place winner, with 11% of the vote. I do have to admit that getting his articulation to actually work was a major issue. They gave second place to the Chewbacca from Hasbro, with 13% of the votes. This was clearly not a good year for Hasbro sixth scale. And to just further cement that thought, they (like me) picked Sidious as the worst male in the 12" category this year, with 16% of the vote. This is a category where individuals always know exactly what they hate, but having them agree is fairly rare. So when 12% of the voters say you're bad, as they did with Malcom Reynolds, then you're bad. But not nearly as bad as if 18% hate you, which was the case for the Willy Wonka smaller sized figure. And God help you if 20% of them all agree that you deserved this award, because you probably do. Since they gave Humpty this honor, as did I, I think we have a pretty clear winner. Now it's on to the lovely ladies. Except, since this is for worst female in the 12" scale, these are the not so lovely ladies. Unfortunately for Sideshow, when you're the only one making a lot of female figures in this scale, you're going to end up with a few dogs. They took all three honors this year. They almost missed third place, but the Planet of the Apes Nova figure managed to just barely edge ahead of the closest competition, taking the spot with 15% of the votes. They took second as well, this time with Willow from the Buffy line. No Buffy fans should be surprised that 27% of my readers gave her the thumbs down. And number one? That was easy, and I picked her number one for this category too - Pamela Voorhees. She snagged an amazing 30% of the vote to take home the medal to Jason. Not all the ladies in the smaller scales were bathing beauties either. 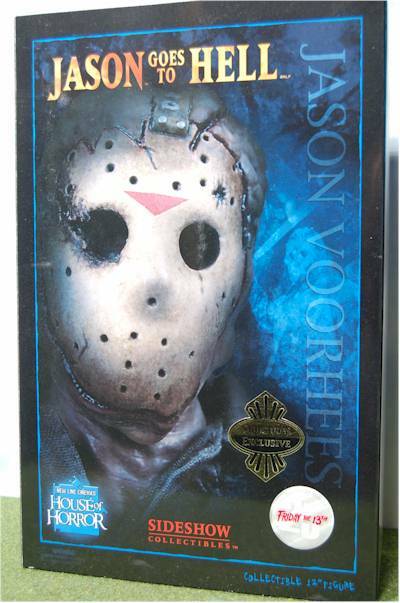 Unfortunately for Miss Voorhees, NECA did their own version of her in the 7" scale, and managed to get 9% of the vote for their work, good enough for a third place finish. I was a little surprised by the second place winner, who received 14% of the vote. I had picked Scarlet Witch as the worst of the year, and when Toybiz even admits she's so bad they wanted to retool her, you know she's bad. But 14% wasn't enough to take first. That's because Sydney from the Alias line by SEG took 28% of the total vote, easily taking the first place spot. Perhaps it's because no one should be allowed to make a woman like Jennifer Gardner look that bad. Let's get back to the general company categories. This was another one I had trouble with, since most companies have gone a long way to add articulation whenever possible. Readers seem to be sending a bit of a message this year. There was no doubt who the big winner was, and it was another of those landslides. Just like Toybiz received the most overall votes in any best category with their win of the best articulation, so did the winner of this category have more votes than any one else in any worst category. To make it even more impressive, they had more individual votes than any other category period, best or worst! But let's start with the distant third place winner, with just 7% of the vote, DC Direct. The later releases from them show improvement though, so perhaps they won't show up in this category again. Second place was won with just 8% of the vote, and goes to Mattel. So who won? It's probably no surprise it was Mcfarlane, but winning it with 43% of the vote was a bit of a shock. Almost every other person picked them for this award, and to get that much consistency across that many collectors is very unusual. Good thing McToys doesn't care about articulation! This is another tough category these days, because the bar keeps getting raised - and companies keep striving to reach it. But 10% of the readers felt Mattel wasn't doing enough to keep up, a score good enough to get third place. Jazzwares ended up in second with 12%, certainly due to the work on the first series of Mortal Kombat. 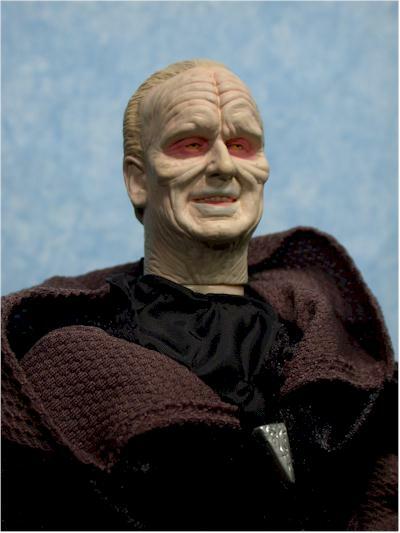 And the big winner received 14% of the votes - JAKKS Pacific. We're winding down, but hang in there and don't miss out on my general thoughts. There's some interesting things to consider coming out of this year's overall results. But before we get there, let's talk bad packaging. This might have been the most diverse set of votes ever, and I don't think anyone avoided getting at least a few. But with 8% of the vote, JAKKS took third. Hasbro managed to beat them out with 10% of the vote, but the top winner (if you want to look at it that way) was DC Direct with 15% of the vote. I can't say I'm surprised, since most of the DC Direct boxes these days are extremely dull in appearance. Most of the voting for the worst sets was centered around three clear winners this year. The late entry was the DEVO set from NECA. It was a set of very rough sculpts on identical bodies, and it's no surprise it got 17% of the votes. That's not as much as the Batman Begins transforming Batcave though, which took second place with 21% of the total vote. But the big winner was probably more than one playset - it was the deluxe Alien vs Predator sets from Mcfarlane. The reduced scale of this line didn't help much, and 25% of the voters hated them. It was almost a complete blowout, but the Alien Vs. Predator sets, those same sets that just won the last category, also got 9% of the votes for worst idea. The idea wasn't the playsets themselves, but the switch to the smaller scale. The excessive number of con exclusives managed to snag another 15% of the total vote, and most people are getting pretty tired of them. But nothing came close to the major league 39% of the vote that blind boxing got. But companies are unlikely to learn anything from this. Nobody wants to end on a downer, so let's look at what folks are most looking forward to next year. The second and third place winners in this category are actually tied at 13% of the vote each. One of them is the new 12" line of Star Wars figures from Sideshow. That, along with the 12" and Premium Format Lord of the Rings licenses, makes Sideshow a company to watch this year. The other is a line we've been waiting for an awfully long time - Sesame Street. Collectors may still be interested, but are retailers? Or more importantly, are any of the retailers that were interested going to still be in business? Finally, the big winner with 17% of the vote was Marvel Legends. Again, here's a line lots of folks claim they were looking forward to, yet there's very little concern being voiced about its likely demise. I have my theories for why that is - I'll let you guess what they are for now. So that's it for another year, and the people - or at least my readers - have spoken. There weren't many surprises to me, since much of this follows the standard stuff we're hearing on the boards. As I mentioned, I am surprised by the reactions to the Hasbro/Marvel deal, when it certainly spells big changes for the Marvel lines. But we'll see just what happens as months roll out. My biggest disappointment is how far Palisades have fallen. Just last year they were tops in a ton of categories, and now they're barely mentioned. If I were a betting man, I'd bet there won't be a radio button for them - or Toybiz - on the ballot next year. NECA did well, as did Mezco. SOTA took the categories I expected, as did Mcfarlane. But what's the future for these four companies? 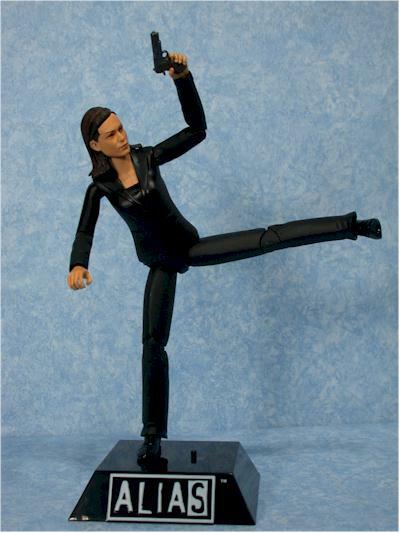 Online retailers simply do not buy in the kind of quantity to make creating plastic figures under $15 a viable option. A company like Sideshow doesn't have to fear, because they produce such a limited number at a high price. The online buying community is certainly big enough to keep them fat and happy, and Sideshow could easily be the company of the year for 2006. But what's to become of the specialty companies trying to survive in the low price, higher quantity market? Toys R Us closes more stores, the Musicland family closes more stores, and stores like Wal-mart and Target will stick with the kid oriented lines. 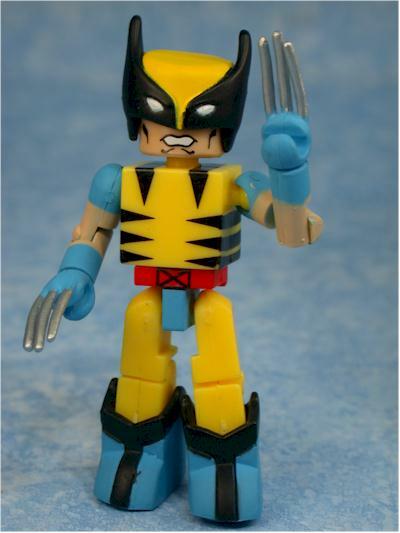 The golden age is over for most action figure collecting, at least for some time. Who's going to survive 2006? One thing is for certain - it won't be everybody.